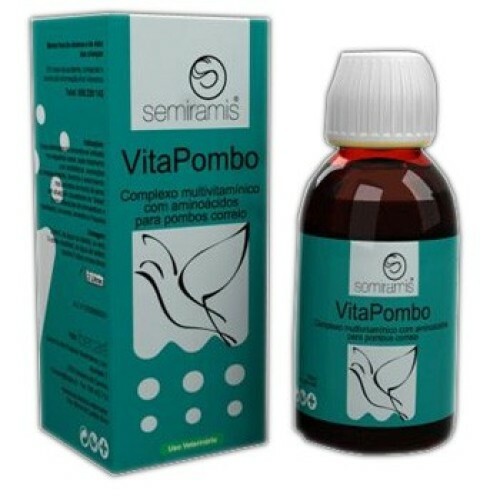 VitaPombo 100 ml by Ibercare (Vitamins + amino-acids) for Racing Pigeons and Cage Birds. - In all cases of B vitamins and amino-acids deficiency. - It's a great racing booster. - Suitable for fertility problems. acid, Glycine, Cystine, DL- Methionine, Leucine, Tyrosine, Histidine, Tryptophan, Isoleucine. 2,5 ml per liter of drinking water during 5 consecutive days.